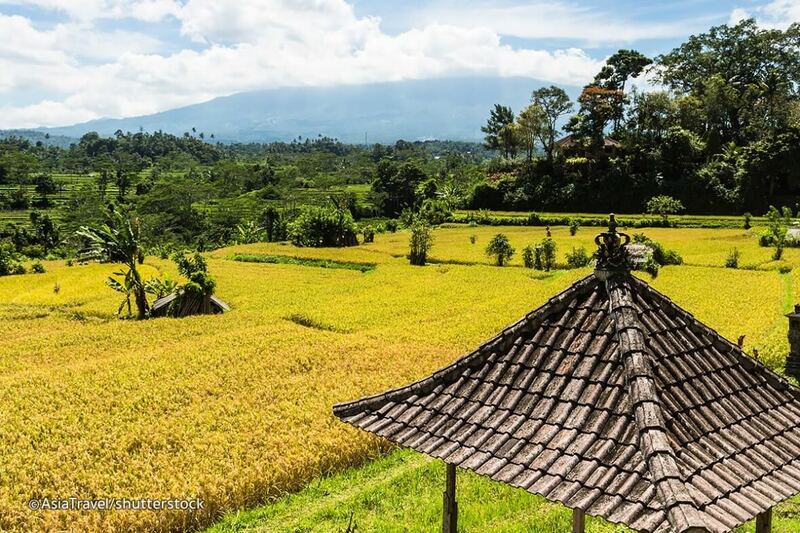 One of the places to enjoy long winding roads with scenic views of terraced rice fields is the village of Munduk, which is just a half-hour drive up from Lovina Beach. The rice fields here are steep and interspersed with coconut groves and rural village plantations growing various fruits and spices. Among the notable resorts in this region are the Munduk Moding Plantation and the Puri Lumbung Cottages. The views here are on a par with those of the more popular Jatiluwih, in the Tabanan regency. Stop at the local plantations to buy a packet of super-fresh cloves or coffee beans, or try some fresh fruits.